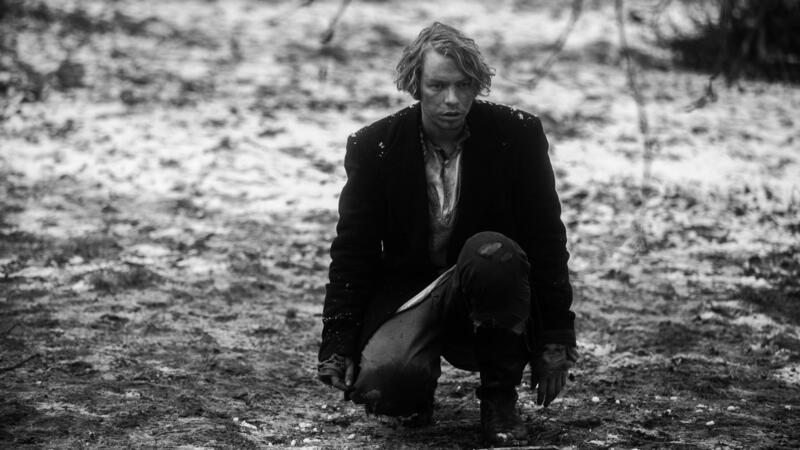 In November, Hans (Jörgen Liik) is the object of a village girl's desire. What unfolds is a dark and surreal love story with spirits, werewolves, plagues, and even the devil himself. These oddities will be joined by a sorceress, a plague in the form of a white goat, and a priest who's done little to banish pagan customs from his grimy corner of 19th-century Estonia. In this parish of semi-converted animists, even communion wafers are put to occult purposes. 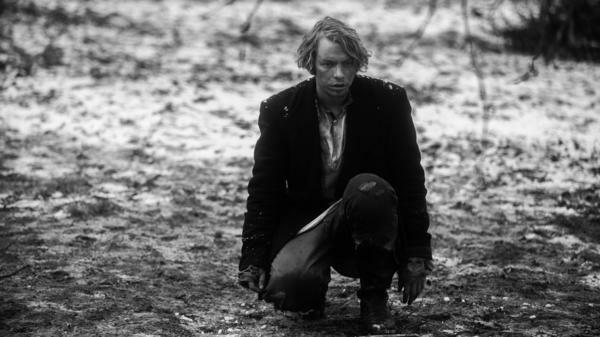 Writer-director Rainer Sarnet adapted this blackly comic film from Andrus Kivirahk's novel, Rehepapp, which was published in 2000 but is much more ancient in spirit. The tale opens in November because that's the month that begins with All Souls' Day. Each November 2 in this remote hamlet, a candle-lit graveyard ceremony summons a procession of white-clad ghosts from the nighttime woods. The dearly (if only partly) departed visit their former homes for dinner and small talk. One inevitable topic is the status of various hidden treasures. There's a political element to the peasants' impoverishment: The area is ruled by a skull-faced German baron (Dieter Laser) whose servants seethe with patriotic resentment. One swipes the baron's underpants, he says, because everything in Estonia should belong to Estonians. The locals are so destitute that they eat bark and bats, yet they horde gold coins and precious jewelry. When not pilfering from the baron, they steal from each other. Indeed, theft is one of the kratts' principal tasks. A beacon of purity in this dark land is Liina (Rea Lest), not merely the most beautiful young woman in the village but also seemingly the only one. She's been promised by her brutish father to a man of roughly his own age and grubbiness. Liina loves handsome Hans (Jorgen Liik), apparently the lone local man of her generation. Alas, Hans is smitten with the baron's daughter (Jette Loona Hermanis), who just arrived from Germany. All the romantic yearning causes misery, desperation, and attempts to write poetry. Yet there are supernatural remedies for unrequited love. Liina heads to the witch; Hans goes down to the crossroads to meet the devil. The evil one demands three drops of blood, but can be tricked. In November, not just humans are regularly swindled. While his is the first of Sarnet's five films to be distributed in the U.S., his style of mystical cinema — black-hearted yet antic — is familiar from such Eastern European precursors as Sergei Parajanov, Bela Tarr, and puppet animator Jan Svankmajer, whose ungainly creations move something like kratts. The story is well served by Lest, Liik, an expertly trained wolf and a cast that includes many nonprofessionals. But Sarnet's most essential collaborator is cinematographer Mart Taniel, a master of charred blacks, incandescent whites, and evocative closeups. The opening montage of ice, trees, and water mesmerizes before any living creature appears. Also significant is one-named Polish composer Jacaszek, whose score mixes drones, burbles, and lupine howls with occasional bursts of electric guitar. The rock'n'roll flourishes, the only modern touches, seem to propel November even deeper into the primordial forest.